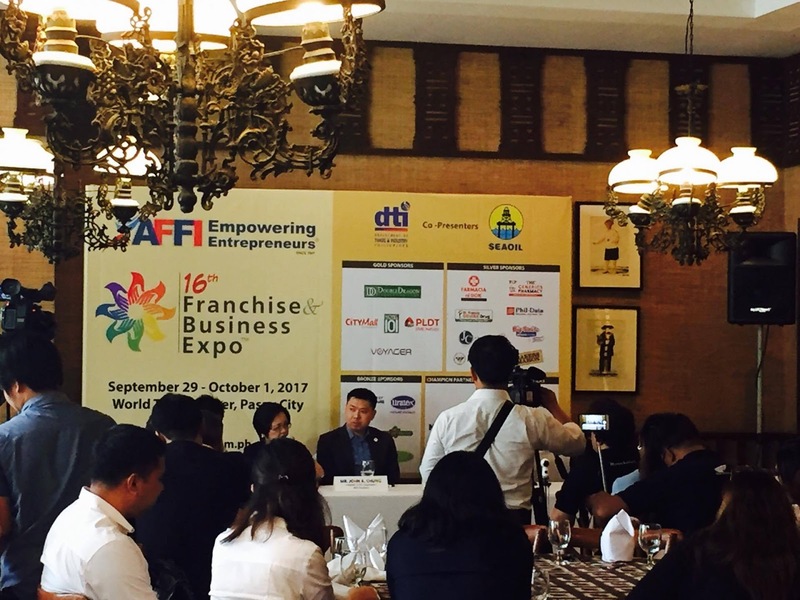 From September 29 to October 1, 2017, the Association of Filipino Franchisers Inc., highlights AFFI@20: One with ASEAN, as this year's expo theme and will continue to empower entrepreneurs primarily thru informative seminars and on-the-day mentoring sessions from industry experts and successful business owners. The seven-point strategy, known as the "7Ms Towards Shared Prosperity in ASEAN," includes: mindset, mastery, mentoring, markets, money, machines, and models- all of which are essential in the advancement of MSMEs towards the core of the ASEAN economic agenda. "These enterprises account for over 90% of businesses all over ASEAN. That number, in itself, already proves the sector's role in achieving the desired growth for the AEC (ASEAN Economic Community)," said AFFI President John Chung. "Small and medium businesses provide more jobs for the common people than any other sector in our society today. For example, AFFI's member corporations alone have already created over 200,000 jobs as of June 2017." AFFI's aims to put forward the welfare of these small enterprises ever since it was first founded in 1997. The association is celebrating its 20th anniversary in the industry this year. "For 20 years, AFFI has been a constant champion of Filipino SMEs. The founders, who are now pillars themselves in the business and franchising community, envisioned the association to be the voice of entrepreneurs in this country. We want to continue fulfilling that vision in the coming decades," added Chung. This annual event highlights hundreds of brands to thousands of visitors ranging from professionals, entrepreneurs, students, and consumers. The expo will offer fresh ideas, trends and solutions through a series of informative seminars, interactive activities, and mentoring sessions provided by partner organizations, government agencies, celebrity entrepreneurs and seasoned businessmen.